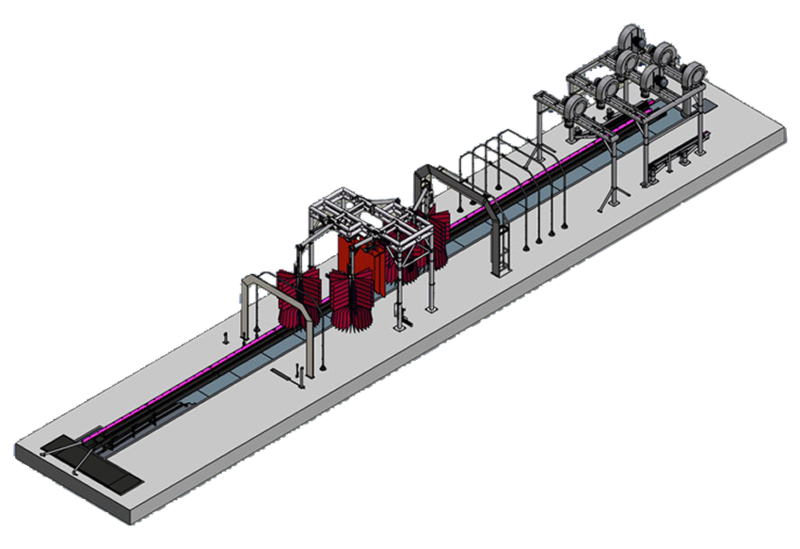 Our tunnel conveyor systems with conveyors sized 60’ to 110’ offer a wide variety of components. 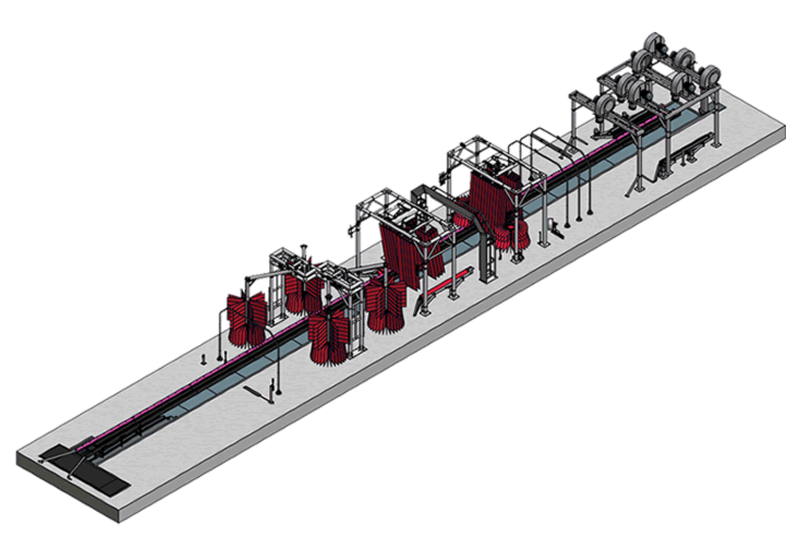 Hanna’s Metro Wash™ packs the power and efficiency of a conveyor system into a smaller package. The Metro Wash can process up to 85 cars per hour and fit a building as short as 40 feet (12.2 meters) long. It is configured for quick and easy installation and low maintenance costs. The Metro Wash features mitter curtain washers to minimize the potential for vehicle incident. 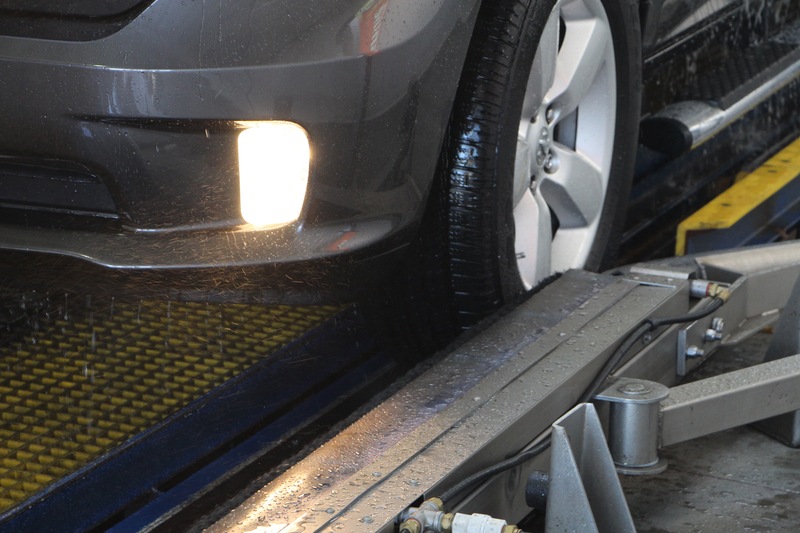 The Metro Wash is the easiest investment decision you’ll make. 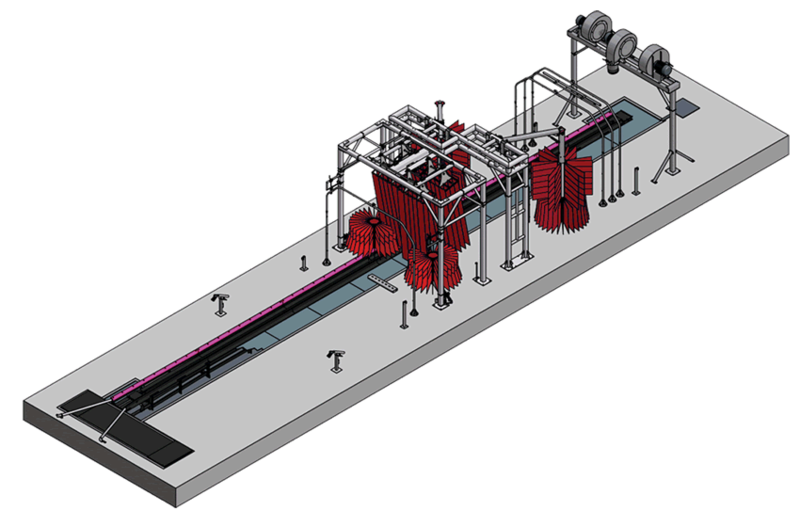 Plus, operators appreciate how simple the system is to operate. 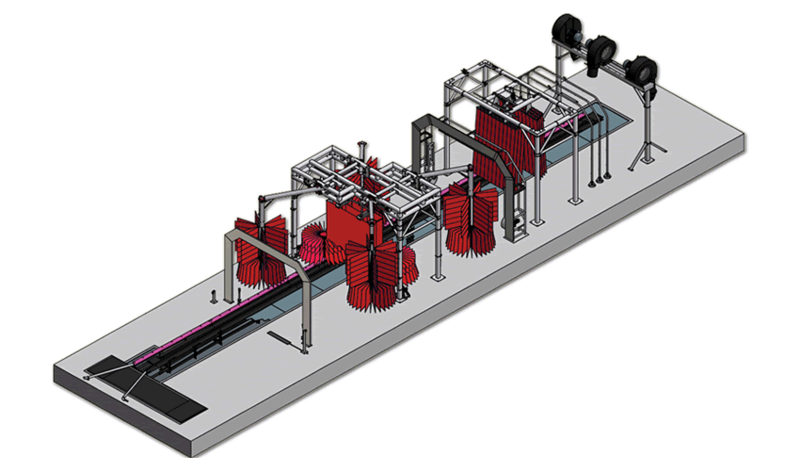 The space saving Hybrid Systems are designed around the versatile and cost effective Stack and Scrub frame system (SAS). 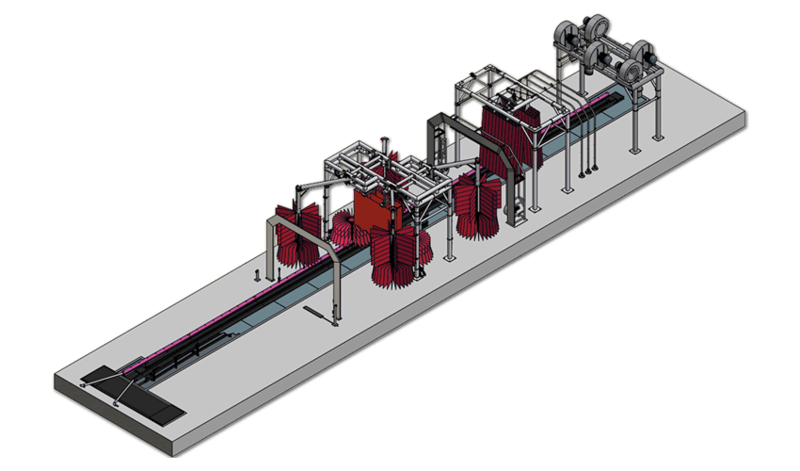 This unique frame system can integrate a variety of wash components to allow for higher volume washing in any Express system. Two sets of flex wraps, a mitter curtain and a set of rocker panel brushes fit a conveyor space as short as 24 feet. 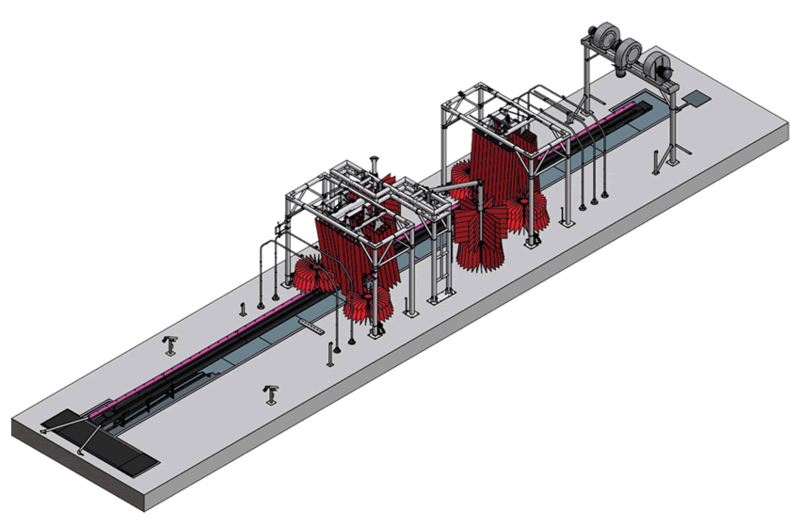 The same SAS frame system can be configured to fit a diverse assortment of Hanna brush components depending on each operators needs. 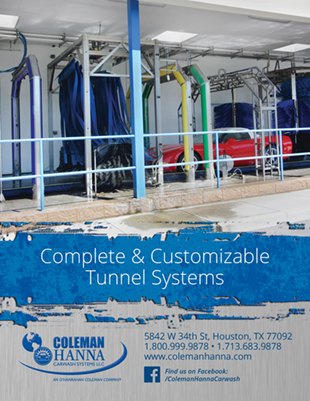 Hanna’s Global Mini-Tunnel™ can fit in most standard rollover bays and can wash 35 to 60 cars per hour. 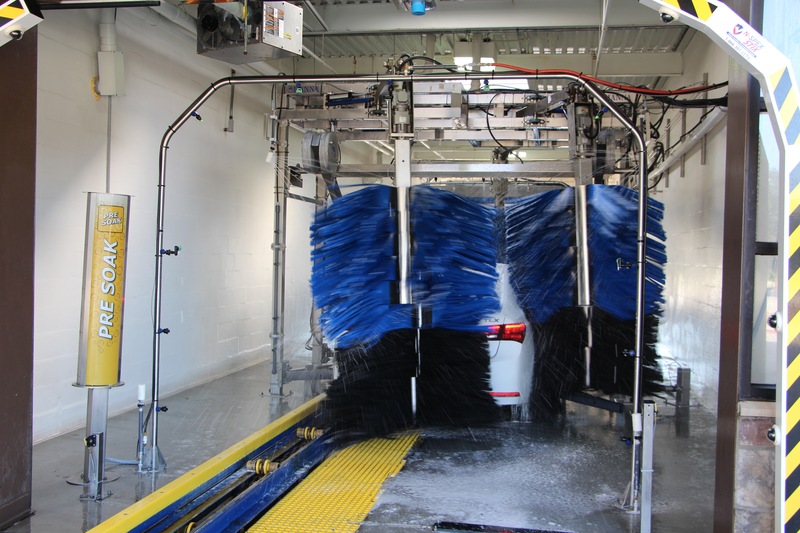 Utilizing the most productive combination of Hanna brush components, the Global system is able to thoroughly wash the top horizontal and vertical surface of the vehicle. 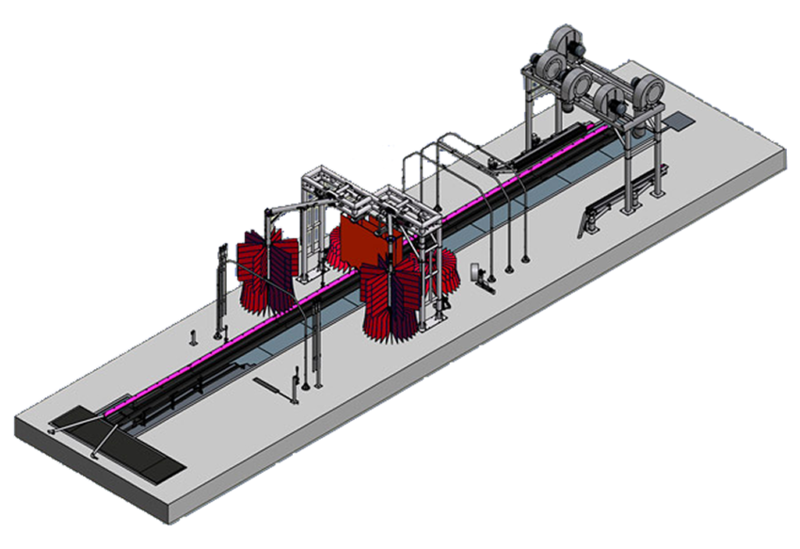 Hanna’s mini-tunnel is more profitable than a standard in-bay automatic because of its high volume capabilities and relatively low cost. A common complaint from in-bay operators is that they just don’t wash cars fast enough and long lines encourage drive-offs and missed opportunities. Hanna’s mini-tunnel is twice as fast as most in-bay automatics, which means it can double your wash volume while reducing drive-offs — turning your rollover bay into a true profit center. Hanna’s Ultra Express™ conveyor system utilizes a combination of high-pressure water applicators, soft cloth and foam brushes for the perfect balance of gentle yet effective cleaning. 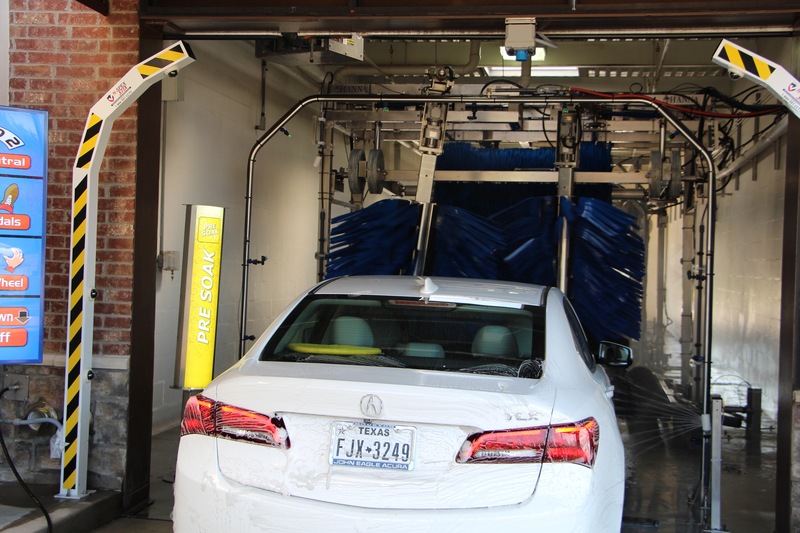 The Ultra Express system is configured to minimize vehicle incident while providing motorists with an open and inviting view through the car wash. 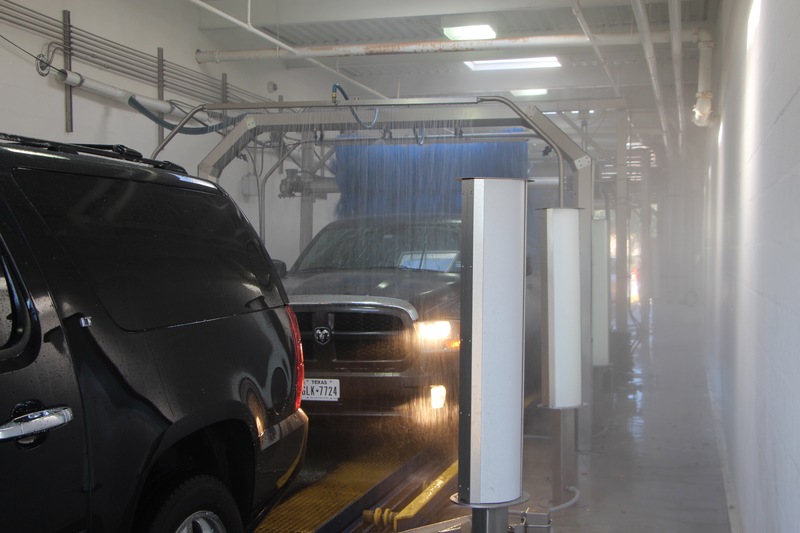 The Ultra Express™ system addresses hard to clean areas such as wheels, bumpers and window edges. 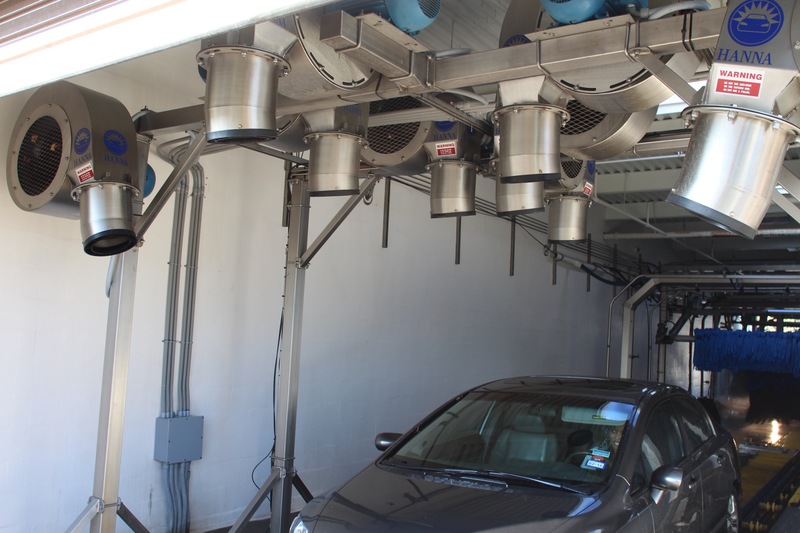 Hanna’s Ultra Express system utilizes five decades of car wash innovation to maximize cleaning and minimize labor.